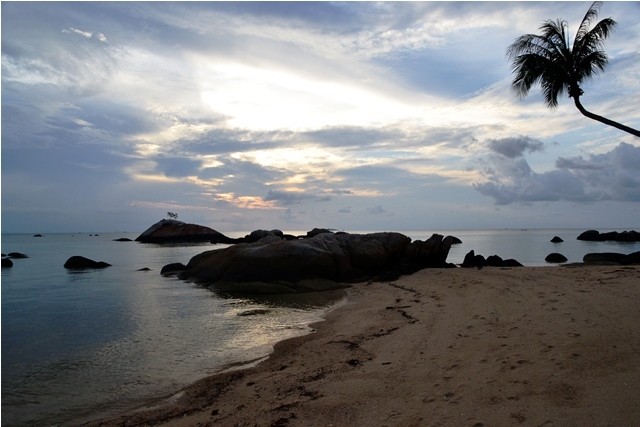 Photoblog: The hippy (Full Moon Party) Island of Koh Phangan, Thailand. 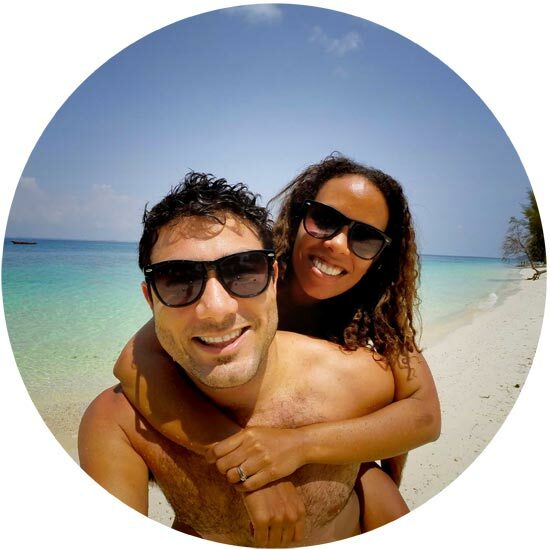 Even though Koh Phangan attracts over 20 000 party goers when the moon is full, it is the most chilled Thai island filled with yoga retreats, hippy hangouts and acres of nothing but coconut palms and fishing boats. Only on Songkran ( Thai New Year) did the music, dancing and water guns come out for the world’s biggest water fight. 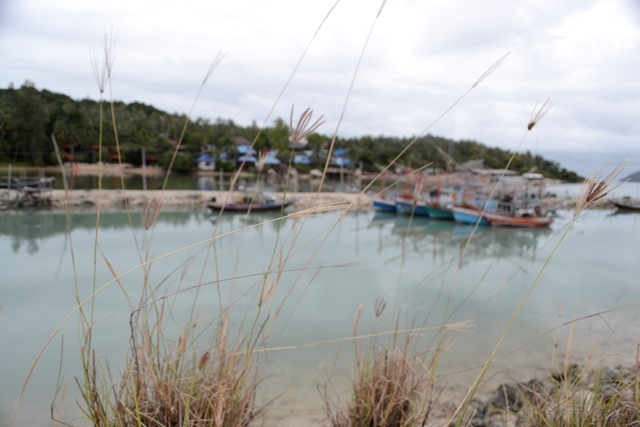 It still maintains a lot of its rural nature and is yet to become built up like Koh Samui. If Koh Lanta is the Swedish Island and Samui- tropical Russia, then Phangan is the Israeli getaway fit with kosher restaurants and Hebrew signboards. Best get on a scooter and explore this relatively unspoilt island. 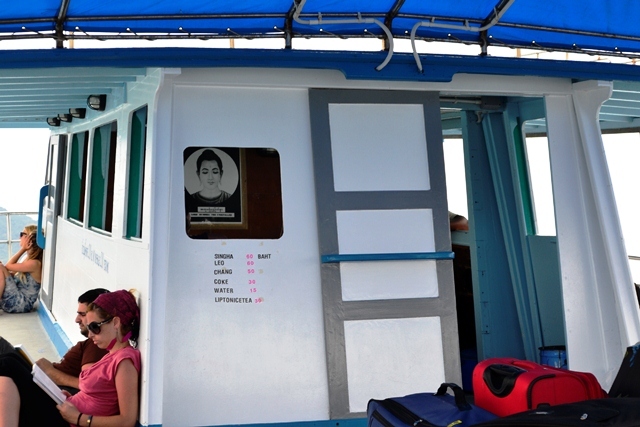 The one and half hour ferry ride from Koh Samui. We arrive at Koh Phangan’s jetty. The lush mountainous island in sight. Fishing boats moored in the tiny harbour. Red, blue and white hues on a cloudy day. A scooter rental shop in Haad Rin. Our rented scooter barely made it up the hills. Blue songtaews: the local island transport with Songkran flags decorating the streets. Our very own pool at Kupa Kupa Beach Villas. Coconut factories where all the coconut husks are removed to be used for coconut oils products, coconut ice-cream and coconut milk. 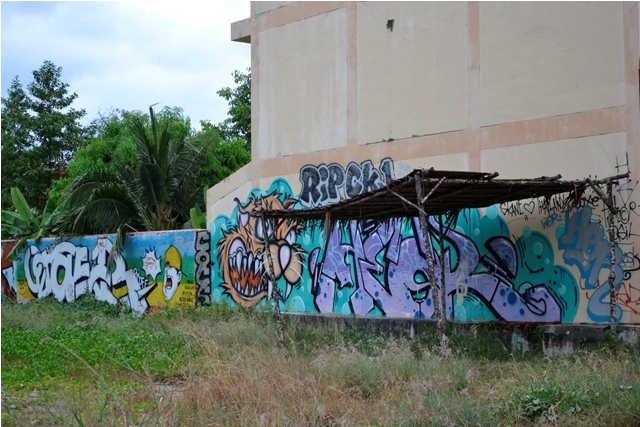 This island loves it graffiti. You can ride for miles and not see a soul. The island is filled with lush, tropical vegetation and blooms such as the bougainvillea. A lone fisherman on the edge of Coconut Beach. 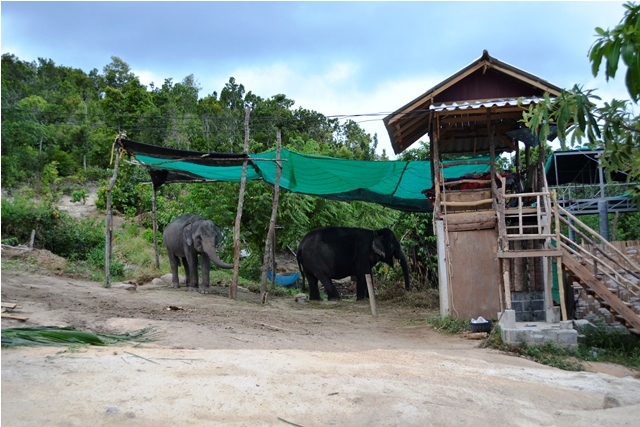 Elephants relaxing and eating whilst their minders nap in hammocks. 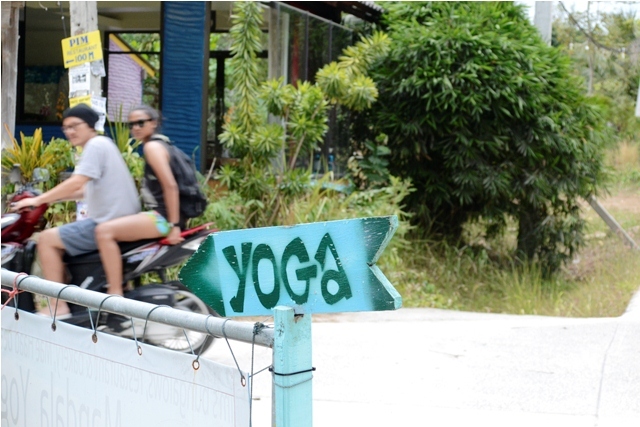 The island is home to many yoga centres as well as well-being retreats to counteract the effects of the Full Moon Parties. 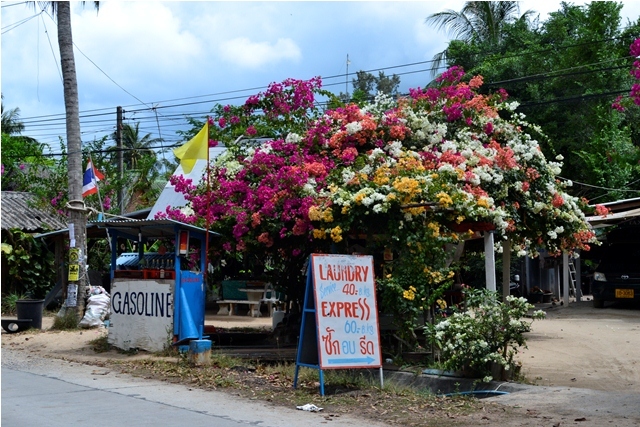 You can always find gasoline on the roadside and Thai women who offer laundry services. Anchors, boats and the harbour just before the rain came. Peace and quiet beside the ocean. on Thai New Year, there is now place to stay dry. Talcum powder, tiger balm and water is thrown, smeared and shooted everywhere. And of course there’s dancing! All’s fair in Songkran water wars. I’m standing looking out over a still ocean and deciding that island life is definitely for me. No one but a single family having lunch on Kon Ma Beach. Rivers flowing through the island. 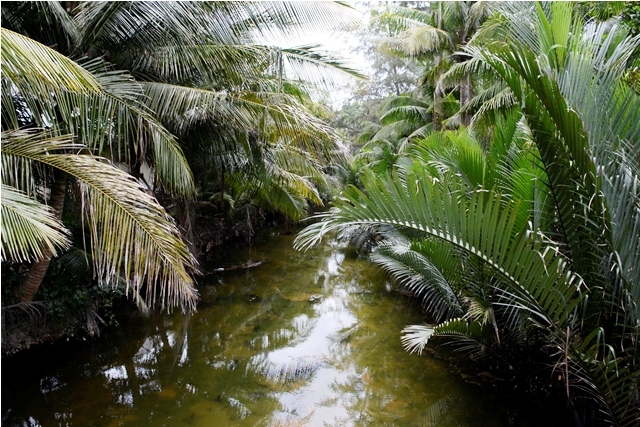 An estuary running into the ocean at Kon Ma Beach. Quite possibly the best Thai seafood dish I have ever tasted. The neon vests and shorts of Haad Rin aimed at all Full Moon Party goers and tourists to Thailand. Frangipani clusters in the rain. Sunset on the beach in front of our resort. 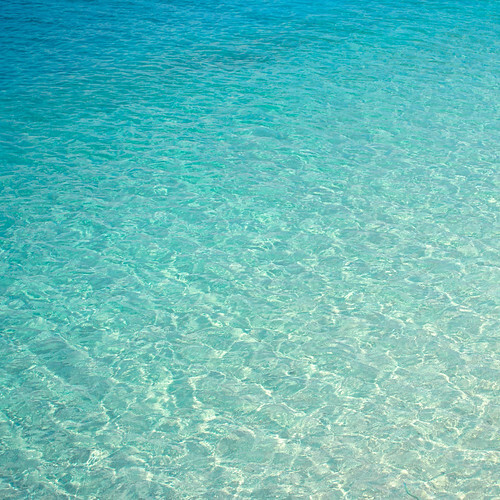 The beach in front of Kupa Kupa Villas.